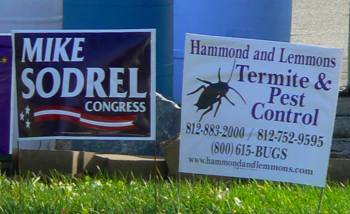 We saw these signs together in Scottsburg, Indiana, today and laughed our heads off. This entry was posted on Monday October 30, 2006 by E.G. Yarnetsky. You can skip to the end and leave a response using the comment form.